March 24, 2014  The court found 529 Muslim Brotherhood supporters guilty of killing one police officer in a riot last year. It is being described as the country's largest-ever mass sentencing. February 23, 2014  The ousted Egyptian leader is accused of being part of a wide conspiracy to destabilize Egypt involving, among other things, passing state secrets to Tehran. January 14, 2014  Arrests and other intimidation have kept critics from being able to organize and speak out. The interim government's message: If you're really an Egyptian than you'll vote yes. 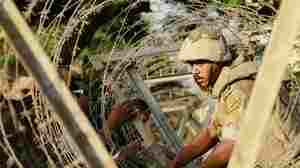 Opponents say the new constitution further enshrines the military's role in Egyptian life. 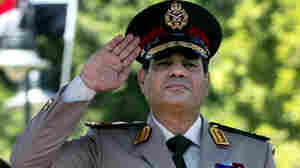 November 4, 2013  "I am Egypt's legitimate president. I refuse to be tried by this court," the ousted leader declared. 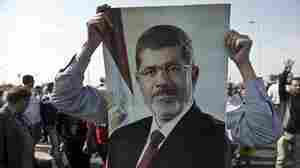 He and other Muslim Brotherhood leaders are accused of inciting violence that led to the deaths of protesters. After their show of defiance, the trial was postponed. 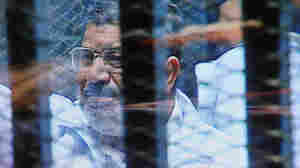 September 23, 2013  Observers say the decision could allow opponents to undermine the infrastructure of the Islamist group, which is still protesting the ouster of President Mohammed Morsi this summer. 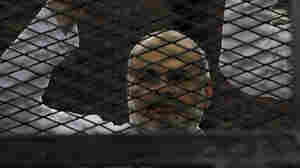 August 19, 2013  Egypt's former president still faces a retrial for the killing of protesters during the 2011 Arab Spring. 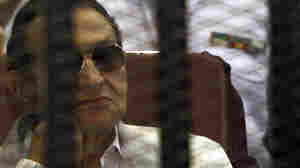 But his lawyer and a court official are telling news outlets that Mubarak may be released in the meantime. 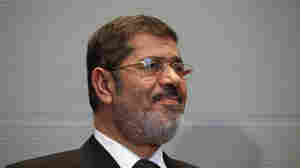 Meanwhile, newly ousted President Mohammed Morsi continues to be held. August 19, 2013  Fears are growing that the country may be headed toward civil war. 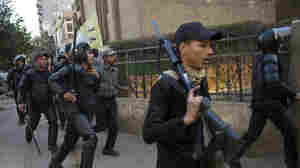 The interim government and the military leaders who ousted President Mohammed Morsi have been cracking down on his supporters. Hundreds have died and thousands have been wounded. Twenty-five off-duty police officers were killed Monday. August 14, 2013  Scores were killed when security forces cleared sites where supporters of ousted President Mohammed Morsi had been camped. Vice President Mohamed ElBaradei, a Nobel Peace Prize laureate, has resigned in protest over what he says was unnecessary bloodshed. July 24, 2013  The decision heads off any criticism that might be directed toward the Obama administration by those who believe the U.S. should not be giving aid at this time to a military that just ousted a democratically elected president. 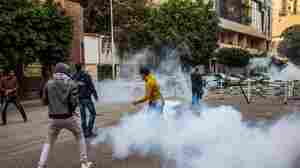 July 16, 2013  Police clashed with supporters of ousted President Mohammed Morsi, just as the U.S. reopened its embassy in the country. July 9, 2013  Adly Mansour has issued a decree that also sets a timetable for new elections. Some analysts believe his decisions will only embolden Islamists. 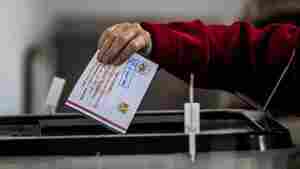 Others say the short timetable to elections should encourage Egyptians and others that the country is moving to restore civilian rule.